In Australia the ASX200 pushed back above the 6000 mark on Wednesday, with gains led by the banks which accounted for half of the 26 points added by the benchmark, which closed at 6011. The ‘bank friendly’ speech by Jerome Powell has reverberated in Australia, but to be fair the Trump administration has signalled from the outset a move towards looser regulation of the sector, and this is likely to be mirrored elsewhere around the world. This will be positive for the global banking sector which should also receive an earnings tailwind from rising interest rates over the medium term. Elsewhere, KFC operator Collins Foods released its half year results on Wednesday. We hold the stock in the Concentrated Australian Share, Income and Small/Mid-Cap models and the Global Contrarian Fund, and I thought the numbers read well. Progress was made at the top and bottom line with the company seeing revenue rise 14% to $322 million, while underlying earnings rose 5.7% to $40.8 million. KFC Australia saw same store sales growth improve to 1.2%, while the acquired Netherlands operation is performing slightly ahead of expectations, and the transformation of the German business in underway. After a run into the results, the market was probably looking for more, and the shares ended the day down 5%, but off the intraday lows. Greg Smith attended the results presentation, and he remains highly encouraged by the outlook for Collins Foods, particularly in Europe which represents a new frontier for the company. The Netherlands business is trading in line with expectations, and margins were only lower due to a low store base (16 restaurants) and some costs being ‘carried’ as acquisition formalities took slightly longer than anticipated – this though is a genuine one-off. I also think that Collins is looking strong on a number of levels. In Germany, a transformation is underway at the 15 restaurants acquired, with two further sites opened during the year. Margins will lift further here as the restaurants are ‘modernised’ (along with investment in the value proposition and training), in line with a successful strategy which management have applied in Australia. While management did not give any guidance, there is likely to be a significant lift from the reported interim EBITDA margin in Europe of 9.6%, in the second half. Overall the opportunity remains significant for Collins, with the level of penetration of KFC low compared to other quick service offerings. In Australia the company has completed the acquisition of 5 of the 28 restaurants bought from Yum! with 23 set to be completed in the second half. The company also has ample scope to lift margins through store modernisation and refurbishments. An interesting development is the re-launch of the Taco Bell offering with Collins’ first store in Annerley in Brisbane. This is the first Taco Bell to be opened in Australia for more than a decade, and management are looking to ride the much greater acceptance and taste for Mexican food that has occurred over that time. Time will tell if Collins is onto something here, but if the first store opening is anything to go by (it was bursting at the seams on opening day according to management), this could provide a further avenue for earnings growth domestically, and augment the substantial potential in Europe. The analyst team issued a mid-week alert and have maintained a buy recommendation on the stock. Baidu was down 3.83% on Wednesday, with this in line and related to the general selloff in the US IT sector. China’s largest search engine has entered a partnership with smartphone maker Xiaomi that will see them “establish in-depth cooperation” to gain leverage in areas of artificial intelligence and the “internet of things”. The goal is to enhance the experience for users of consumer electronics and smart devices. Areas to be developed include voice recognition, deep learning and conversational AI. We have been of the view for some time that Baidu has strong technological fundamentals in AI and Xiaomi has solid experience in smart hardware, big data and an established smart device ecosystem. The McKinsey Global Institute note that the potential economic impact of the internet of things into 2025 could be anything between $3.9 to $11.1 trillion. While this is a wide range, even at the low end it is still significant. 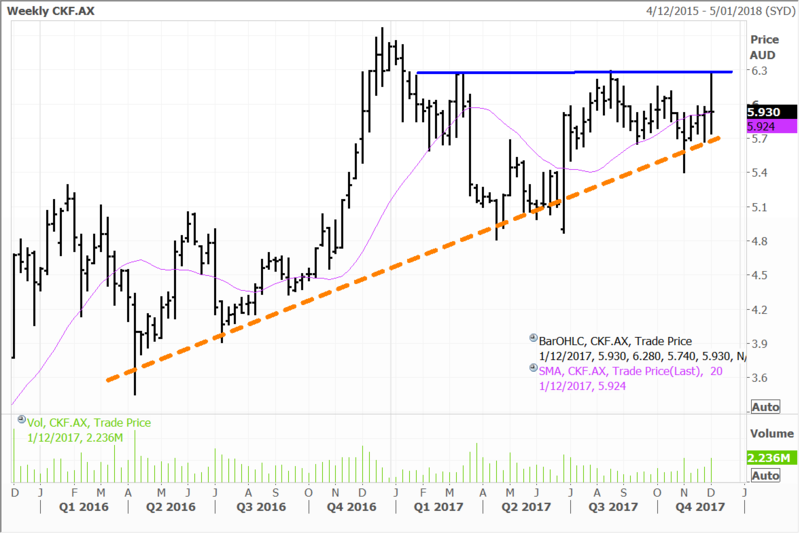 Baidu is a top holding in the Contrarian Fund and is also help in our Global Opportunities, Asian and North American Managed Account Portfolios. Hong Kong-listed shares of Macau casino operator MGM China surged 3.97% in trading yesterday, following a positive note on the stock from Morgan Stanley. MGM China is due to open a multi-billion dollar property on the thriving Macau Cotai Strip in January, which should see the company grab some more of the lucrative Macau gaming market. MGM China is a core holding in the Fat Prophets Global Contrarian Fund, along with the Global Opportunities and Asian Managed Account portfolios. The Macau gaming market has made a significant comeback over the past year or so, following a weak period when Beijing authorities cracked down on graft. Macau casino gross gaming revenue surged 22.1% year-on-year to 22.6 billion patacas (US$3.3 billion) in October, topping estimates. It was the highest monthly gaming revenue tally since October 2014. November numbers are due out later this week. October marked the 15th consecutive month of year-on-year increases in Macau gaming revenue. The performance was even more impressive considering it was up against a relatively tough comparison from October 2016, after Wynn Palace (Wynn Macau) and The Parisian Macao (Sands China) opened in late summer and autumn 2016 respectively. Wynn Macau and Sands China are also holdings in the Global Contrarian Fund, the Global Opportunities and Asian portfolios. The October Macau gaming tally took year-to-date gaming revenue in Macau to 220 billion patacas, representing a 19.2% increase from the comparable period of 2016. Soon after the authorities in Macau reported October gaming revenue figures in early November, they forecast casino gross gaming revenue (GGR) would continue to grow in 2018. The Secretary for Economy and Finance, Lionel Leong Vai Tic declined to give a specific figure, but local authorities are known for their caution in forecasting Macau GGR. This is a view we have articulated in the Daily correspondence to Members for since last year, well ahead of the growing consensus from the large investment banks. A shift towards a more family friendly approach like the transformation Las Vegas has undertaken will benefit Macau. China’s outbound tourism is expected to grow at a double-digit pace for many years yet, as the percentage of Chinese with passports is still quite low and spending power of the middle class is growing. Combined with new infrastructure build-out and the new and yet to be opened attractions in Macau and its appeal as a tourism and gambling destination is compelling. MGM China is well positioned to pick up some more market share from next year. Damage caused by a typhoon earlier in the year resulted in a small delay for the opening of MGM China’s new casino in Cotai and an upward revision in the project’s budget. 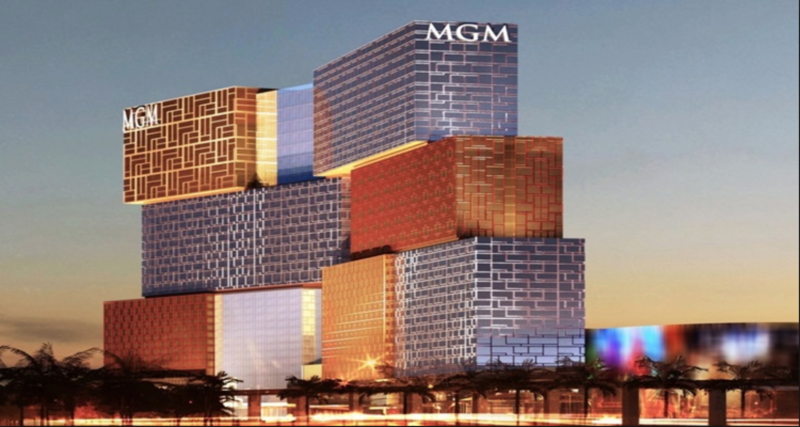 The new resort, MGM Cotai, is now slated to open on January 29, 2018. The company had previously guided for the fourth quarter of 2017. The budget was also revised upwards roughly 4% to HK$27 billion (US$3.5b) due to some damage sustained. The budget excludes land and capitalised interest. Although the delay is frustrating, especially as it is not the first delay, MGM has now set a hard date for the opening and these are rarely changed. If the opening of the property is anywhere near as successful as the parent’s opening of its National Harbor casino in Maryland in the United States in December 2016, shareholders should be happy next year. A highlight of the property will be a high-tech theatre. MGM has described as Asia’s first dynamic theatre that can seat up to 2,000 people in more than 10 different configurations. It will have a giant 900 square metre ultra HD LED screen, the size of three tennis courts combined. Disclosure: The Fat Prophets Global Contrarian Fund declares a holding in Collins Foods, Baidu and MGM China.